CooksRecipes has quality, kitchen-tested recipes for diabetic-friendly chicken dishes that you can count on for accuracy and deliciousness. 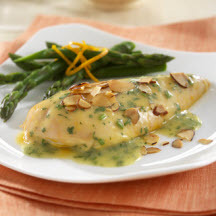 A fabulous sweet and sour citrus glaze for chicken, with fresh herbs and toasted almonds adding an extra dimension. 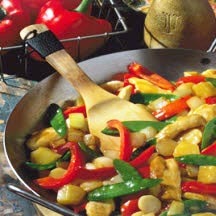 Easy to prepare colorful stir-fry dish combining chicken, pea pods, red peppers and pineapple in a sweet and sour sauce. 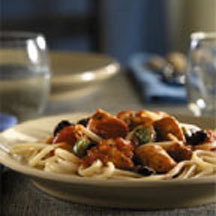 Impress the family tonight with this easy, Italian-style pasta and chicken main dish.